In Plant Sciences we're using post-consumer waste like pizza boxes and spent coffee grounds to produce gourmet mushrooms like the ones shown below! This exciting project is being led by undergraduate student Parker Evans. We've also found that mesquite bean pods make a great mushroom substrate! We're investigating the capacity of some fungi to degrade toxic substances like aflatoxin, the most potent naturally occurring carcinogen. Graduate student Lauren Jackson is conducting this impactful research. 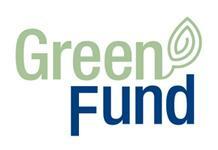 With Support from the UA Green Fund we're collaborating with numerous organizations to realize our shared vision. The Compost Cats turn all of our spent material into rich soil! LEAF, Desert Harvesters, and Facilities Management have helped us collect unused mesquite bean pods. We're doing outreach with our solar-powered mushroom shed at Tucson Village Farm. 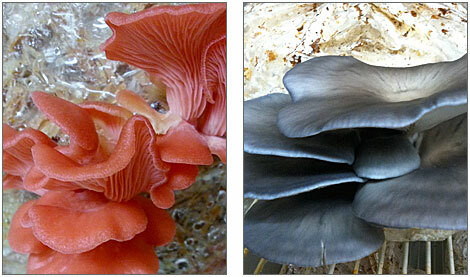 We will be donating nutritious mushrooms to the Community Food Bank of Southern Arizona. We have a strong team of undergraduate interns and we need YOUR help too! Join the UA School of Plant Sciences in creating an environmentally sustainable campus for Arizona.